The Potpourri Group, a catalog company, bought the company. 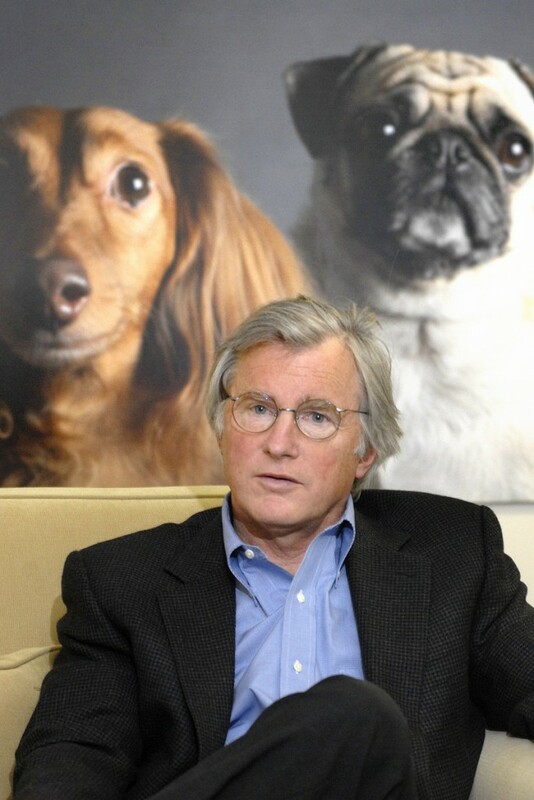 PORTLAND – FetchDog, a dog accessories catalog and Internet site co-founded by actress Glenn Close and her husband, David Shaw, has been sold to the Potpourri Group catalog company, while its formal affiliate, Vets First Choice, has received $4 million in funding. FetchDog, known for its high-end dog toys and accessories as well as its blog and charity work with dog shelters and other nonprofit groups, was launched in 2007. The company received publicity for its connection with Close, as well as Shaw, who founded Westbrook-based Idexx Laboratories Inc. and now heads the Black Point Group investment firm. FetchDog targeted the $51 billion spent annually on pets, according to the American Pet Products Association. It defied the recession and secured $4 million in financing in 2009. Potpourri Group, based in Chelmsford, Mass., and founded in 1963, owns “In the Company of Dogs,” a home decor and gifts catalog, the “Expressions” catalog and the “Back in the Saddle” catalog for horse enthusiasts. The terms of Potpourri Group’s purchase of FetchDog were not disclosed. Potpourri did not return calls seeking comment. FetchDog was successful on several fronts. In addition to the growth of its catalog and website, in 2009 it helped launch the company that became Vets First Choice. The company provides home delivery of veterinary medications and food. It allows veterinarians to provide prescription medication and food directly to customers overnight, targeting the more than $5 billion market for veterinary medications and diets. FetchDog spun off Vets First Choice as a dividend to shareholders in 2011. It then made sense to sell FetchDog to a catalog-company specialist, Shaw said. Several suitors expressed interest in buying FetchDog, but the Potpourri Group and its “In the Company of Dogs” franchise seemed like the best fit, he said. “DVM got quite a bit bigger. If you unleash something — to use a dog term — and set it off on its own, it wants to grow. And it’s grown quite quickly,” Shaw said. Vets First Choice, now the largest online veterinary partner-pharmacy and marketing services company, said Wednesday that it received $4 million in financing led by Polaris Venture Partners. Existing investors, including Borealis Ventures, Harbor Light Capital, Shaw and Black Point, also participated in the financing. Vets First Choice, which has about 100 employees, aims to use the funding to expand a new software program and increase marketing to veterinarians, Shaw said. In January, Vets First Choice acquired Maryland-based online veterinary pharmacy VetCentric. The combined company serves more than 6,000 veterinary practices and over 25 million pet owners. Vets First Choice, which has pharmacy and service operations in Omaha, Neb., Wamego, Kan., Glen Burnie, Md., and Phoenix, helps veterinarians tailor their websites to offer prescriptions and food that get shipped overnight from various vendors. The veterinarian offices don’t have to stock the products or worry about shipping, but can improve service for their clients, Shaw said. The company competes against companies such as PetMed Express, which operates 1-800-PetMeds. That model is different because it requires vets to write prescriptions for medication, which gets sold and shipped by 1-800-PetMeds. With Vets First Choice, veterinarians can keep better track of how customers reorder medication and send reminders when shots or medicine is due, Shaw said. Vets First Choice has no plans for acquisitions, but some opportunities may arise, Shaw said. “The company feels very competent to get the job done with the staff and assets we have. The intention is to grow organically,” Shaw said. The fast growth of Vets First Choice puts another animal care company on the map in Maine. In addition to Idexx, Maine has ImmuCell Corp., Putney, which is developing generic drugs for pets, and VetEnvoy, which uses its software to connect veterinarians and their customers to health care suppliers.